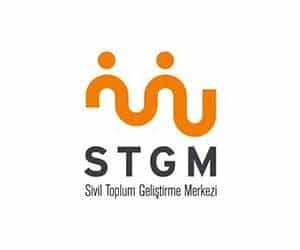 The project led by Sivil Toplum Geliştirme Derneği (STGM – the Civil Society Development Center) aimed to develop the capacities of Turkish CSOs on advocacy and lobbying techniques, with the goal being to develop more effective civic participation within the country. In addition, a database regarding civil society involvement in public policymaking was developed to include best practices of participation in decision making and relevant policy documents and publications. The project was funded by the Central Finance and Contracts Unit of Turkey under EuropeAid/135252/M/ACT/TR. Organized a study visit for 14 CSOs and one government representative to Brussels for meetings with relevant stakeholders. Delivered training on advocacy, campaigning and EU funding. Helped to develop a database of best practices for CSOs effectively participating in the EU decision-making process. The database (only in Turkish) can be found here: http://www.katilimhakki.org/. Civil society from Turkey networked and connected with European NGOs in Brussels. Development of the database on best practices and other useful tools for civil society in Turkey (Turkish only).